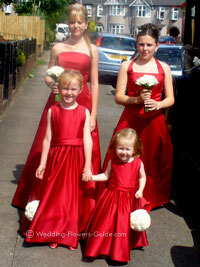 Flowergirls are a charming and beautiful addition to the wedding party. Their unpredictability just adds to their appeal. 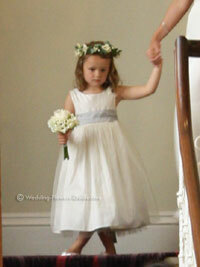 The main job of the flowergirl is just to look cute. Inevitably they're able to do this without any prompting. 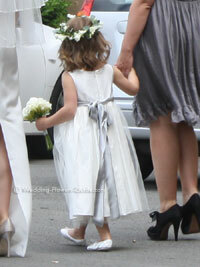 Traditionally, flowergirls are between the ages of about 2 and 8. They line the aisle and entrance with flower petals prior to the arrival of the bride. You may want to check with your ceremony venue first, just to make sure that they do not mind flowers being tossed around. You can now get freshly picked rose petals delivered direct to your door. Or you can opt to choose the convenience and durability of freeze-dried petals. 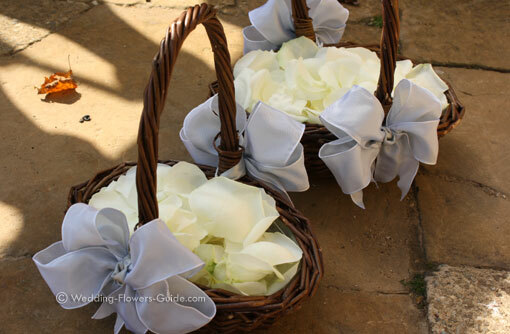 An alternative to a flower basket of petals is a posy bouquet. 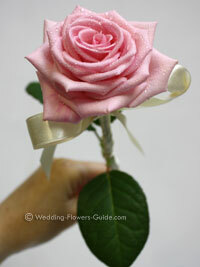 If I'm making a posy bouquet for the flowergirl, it is small and inexpensive. It usually has similar flowers to the bridal bouquet. 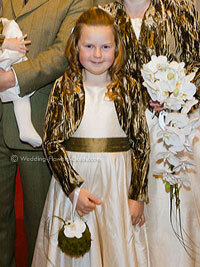 In the picture above you can see how I created a circular headress to match the posy. 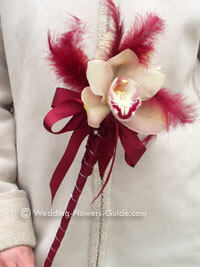 Another popular accessory for flowergirls is a kissing ball. 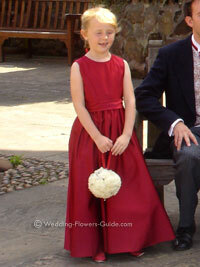 Also called pomander balls, these are easy accessories for the child to hold as they are similar to a handbag. 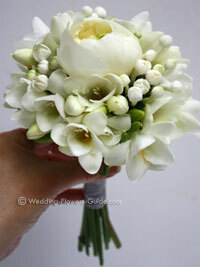 The flowers that I use reflect the color theme and flowers chosen for the wedding. 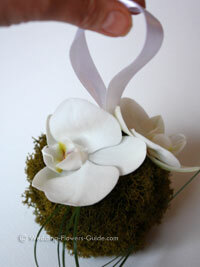 Below you can see a kissing ball that I created for a winter wedding. 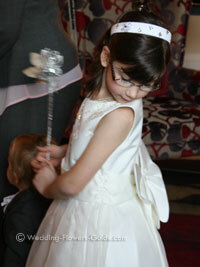 Wands also make great accessories for flower girls. They are fun and easy to hold and little girls love the association with fairies and princesses. Here you can see two wands that I have recently created. If you're wondering about a gift to buy your flowergirl, here are a few ideas for you. A practical gift is something that they can use on the day but still use afterwards. For instance a jewelry set with personalized mini-purse. A storybook about a flowergirl is also a nice touch. This can be a gift that's given in advance if you want to get across the significance of a flowergirl's role. You could also choose a t-shirt to give them as a gift. If you are having an informal wedding, this could even be worn on the day.